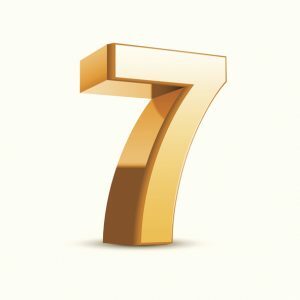 Here are 7 interesting facts about Flue Steam that you may not be aware of. Read on – you might learn something! Flue Steam has been serving Southern California for over 40 years! 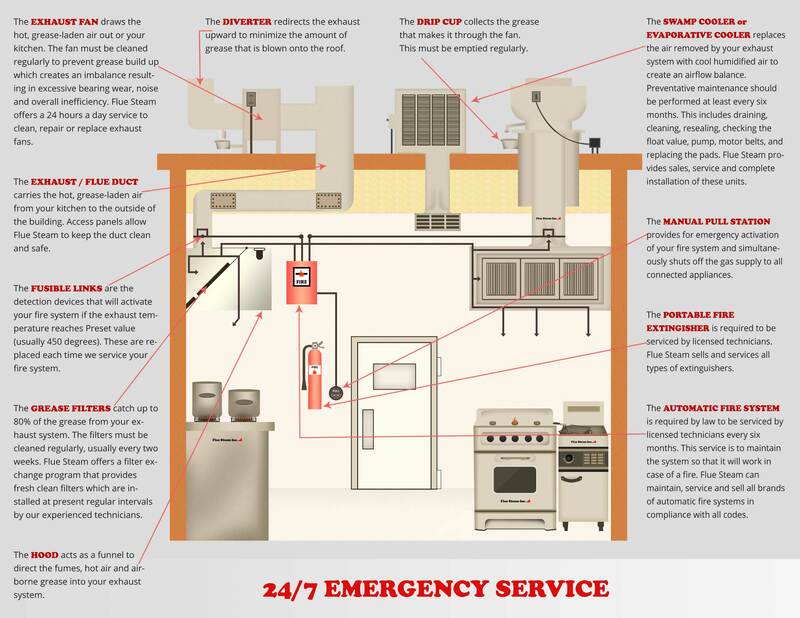 That’s right – since 1971, we’ve been offering high quality commercial kitchen air control and fire prevention services to commercial kitchens throughout Southern California. We provide both hand scraping and steam cleaning services. We recommend you schedule regular equipment inspections and cleanings so your commercial kitchen is always in tip-top shape. Exhaust cleaning system services are typically booked one week in advance. We can schedule these cleanings at dates and times that are most convenient for your busy schedule. We recommend exhaust system hand scraping services be scheduled once a month, and steam cleaning be done quarterly. We’re always happy to discuss your needs and adjust our recommendations to ensure your commercial kitchen is always safe for your staff and patrons. All our services meet NFPA and CMC requirements. We verify this by placing a “Certificate of Performance” sticker that shows the exact date of service, service frequency, and whether any inaccessible areas exist in the system on the hood of your exhaust system. This serves as proof that you have diligently fulfilled your code obligations and your commercial kitchen is safe. Our popular exhaust system cleaning services often get most of the attention, but we also offer full portable fire extinguisher service, too! Since we are committed to keeping everyone in and around your commercial kitchen safe from fire, we have started offering high quality portable fire extinguishers that will add an extra layer of protection to your commercial kitchen. We sell many types of portable fire extinguishers, and we’ll gladly give you expert recommendations as you decide which ones will be best for your exact commercial kitchen. You can really trust our licensed technicians to steer you in the right direction so you get the ideal fire extinguisher for your commercial kitchen. We strive to meet and often even exceed our customers’ expectations. As a long-term industry player, we have reached a comfortable level of success by building lasting professional relationships with our clients. We look forward to making your life a bit easier when you begin counting on Flue Steam for all your commercial kitchen air control and fire prevention needs. Call us today at 800-700-FLUE.